Arkade Graphics ran workshops for young people in Coffee Hall, Milton Keynes . During these workshops the young people produced designs which were then recreated on a large wall on Jonathans (road) Coffee Hall. 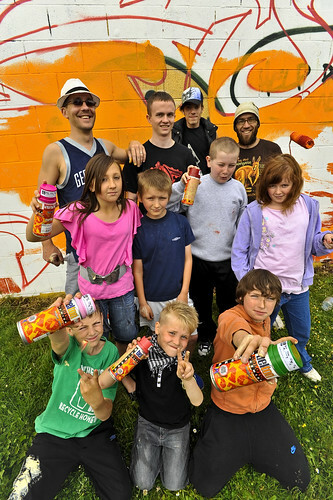 During the workshop the young people gained basic skills with spray cans. people to complete the project. 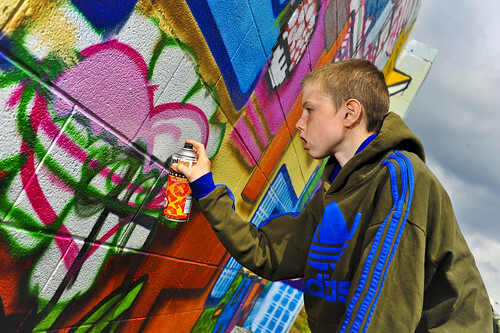 This entry was posted in Workshops and tagged Aks, Arkade, Choosp, MAD, Mural, Pieface, Spraypaint, Syte2, Vapour, workshops, young people. Bookmark the permalink.